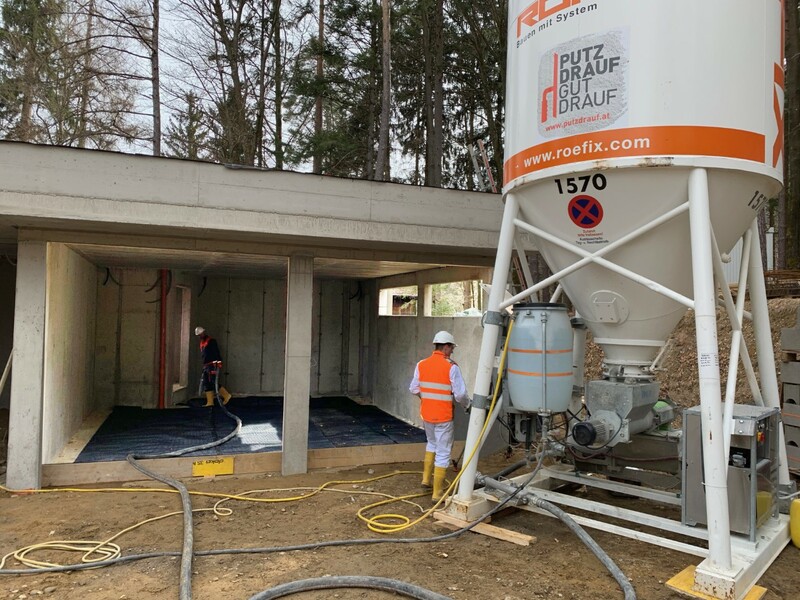 The MAI®HICOMP-FOAM is a silo pump that delivers porous, lightweight cellular foam concrete where and when it is needed thanks to intelligent control technology. 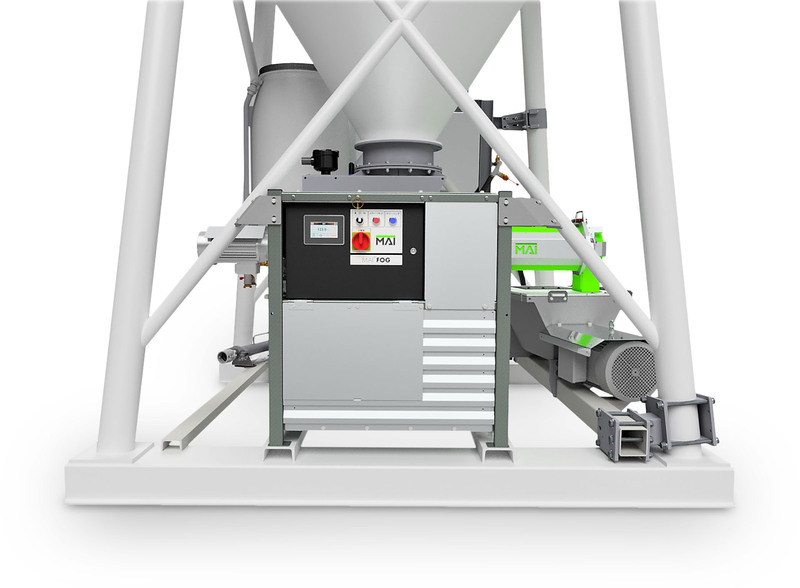 A lightweight porous concrete pump screwed onto the silo, the MAI®HICOMP-FOAM under silo mixing pump maintains operation even through fluctuations in the power supply. 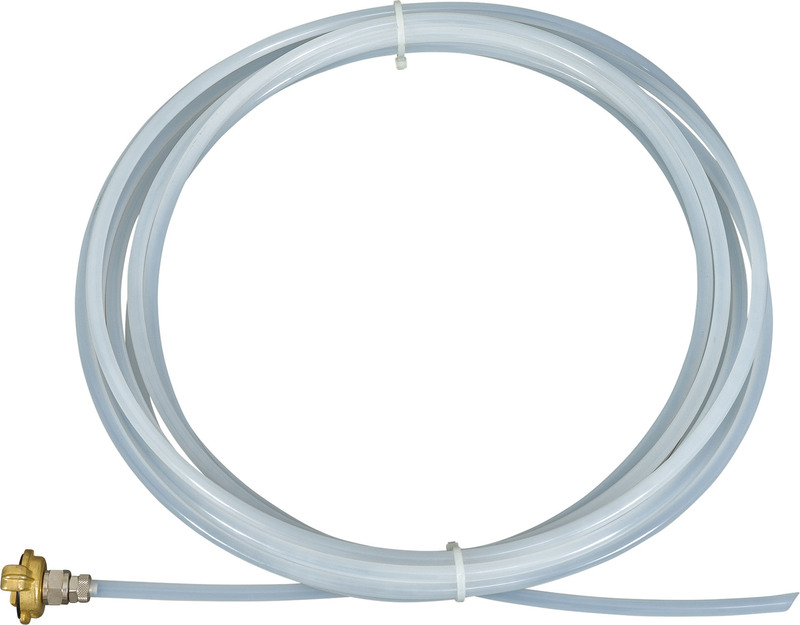 Use the remote control to easily adjust the pumping capacity of the MAI®HICOMP-FOAM. 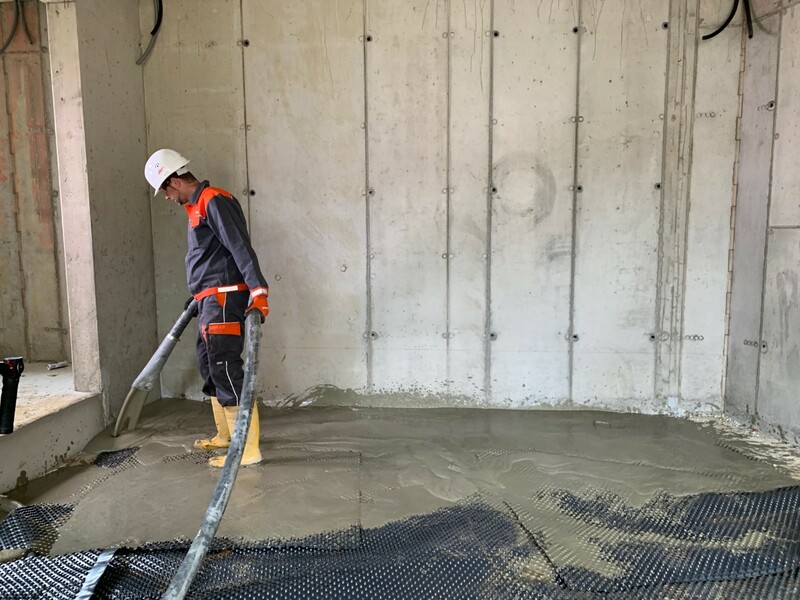 Achieve consistent cellular foam concrete quantities of between 9 and 24 cubic meters per hour (with a minimum mortar hose width of 50mm, at a distance of up to a maximum of 100m) for a silo diameter of 350 mm. 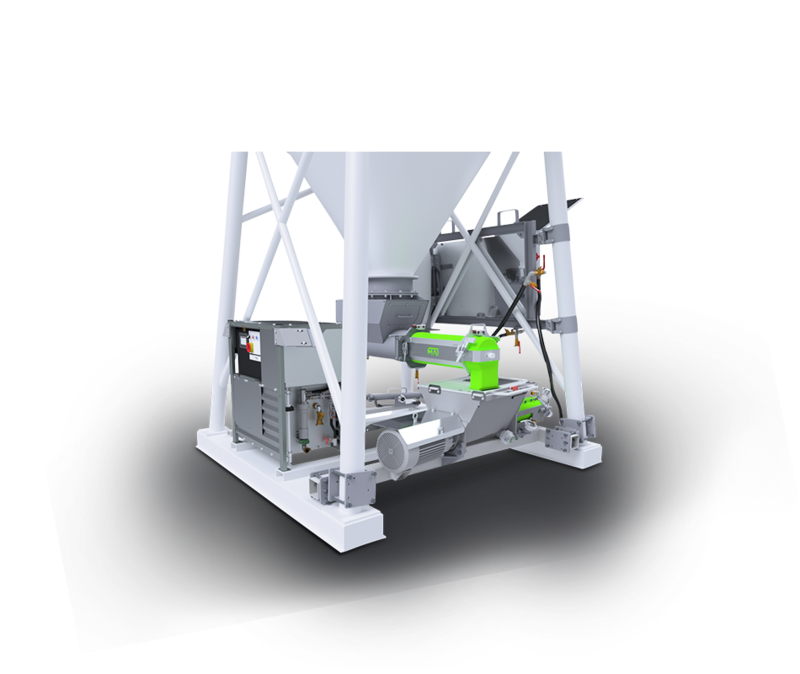 TheMAI®HICOMP-FOAM features intelligent management of pumping power to avoid downtime during lightweight foam concrete production. 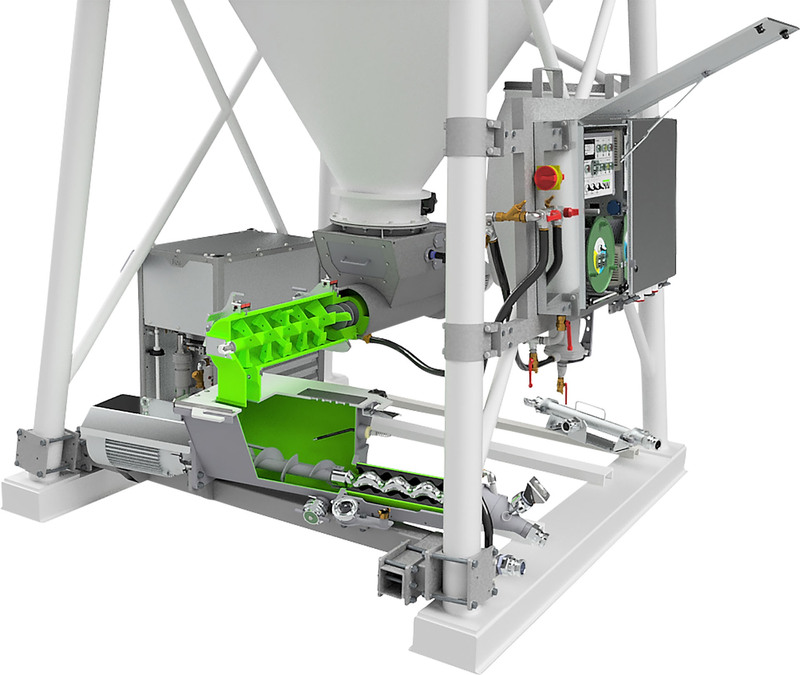 This unique level of process safety is mainly due to the water control system developed by MAI, which ensures consistent consistency even when high mixing performance is required in your foam concrete production system. 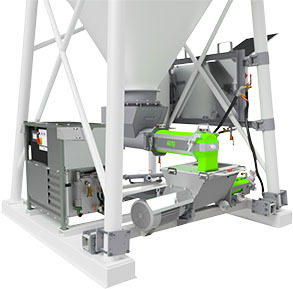 The ability to adjust and store fine-tuned parameter settings for pumping power by remote control is another factor that leads to the excellent extended mixing times achievable by the MAI®HICOMP-FOAM. It can be operated as intuitively as a smartphone. 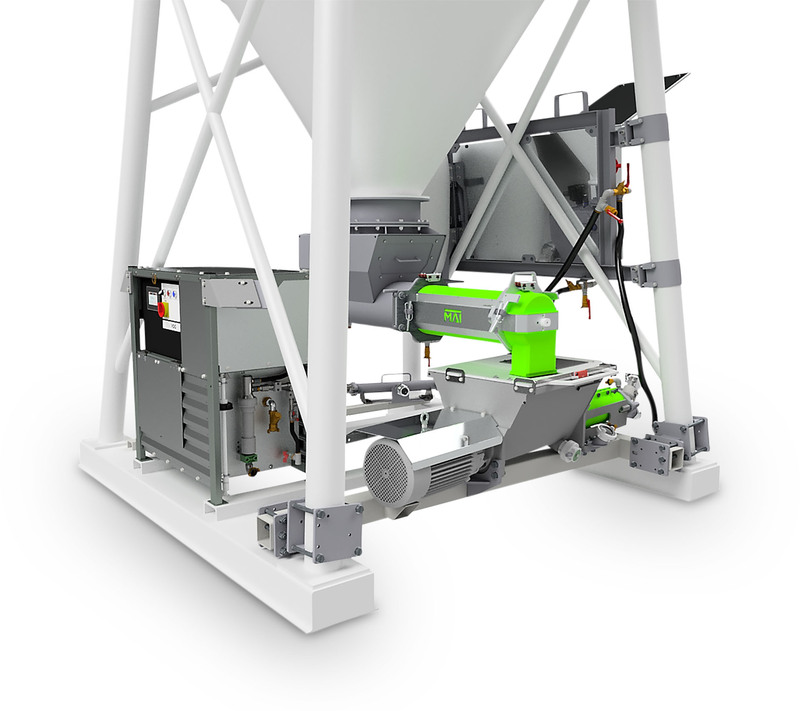 Patented mixing blades guarantee homogeneous mixing and processing quality of the lightweight foam mortar produced (patent No: EP 1 768 771 B1). 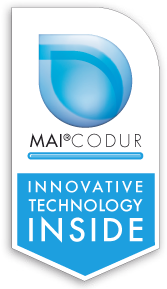 Speed Easy cleaning systems components and wear-resistant MAI® CODUR parts as well as hot-dip galvanised components guarantee long life and corrosion protection. 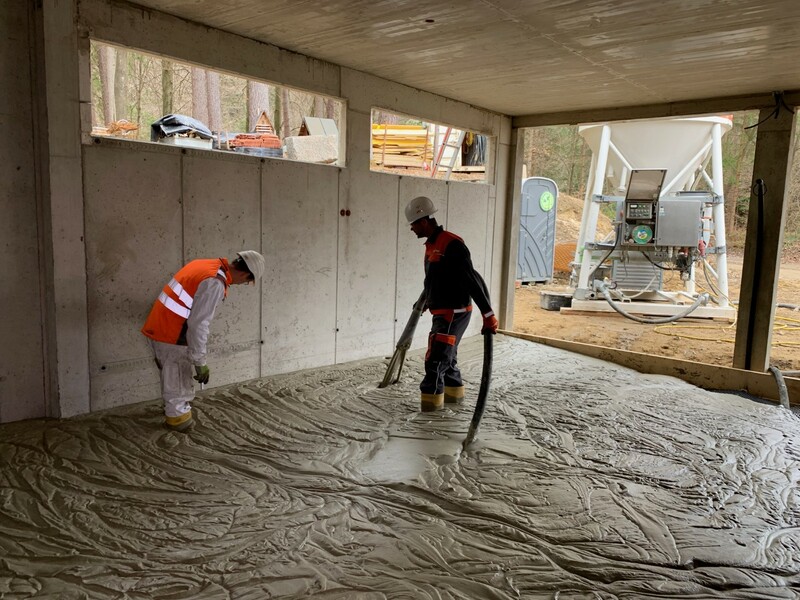 The MAI®HICOMP-FOAM is similar to the popular MAI®HICOMP but with special equipment included for the production of cellular foam concrete. 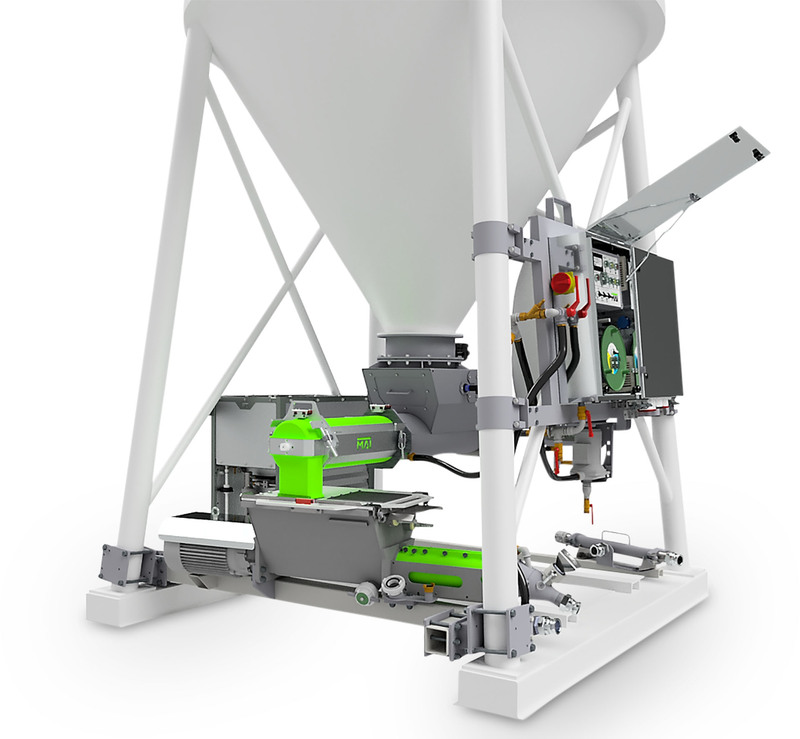 These include the MAI®FOG silo mounted foam generator and the static mixer as well as the special worm pump for lightweight foam and optionally available auxiliary units such as the dosing pump MAI®DOS. The system includes interfaces for the control of these external devices, which are controllable from the MAI®HICOMP-FOAM unit or via the optional cable or radio remote control. 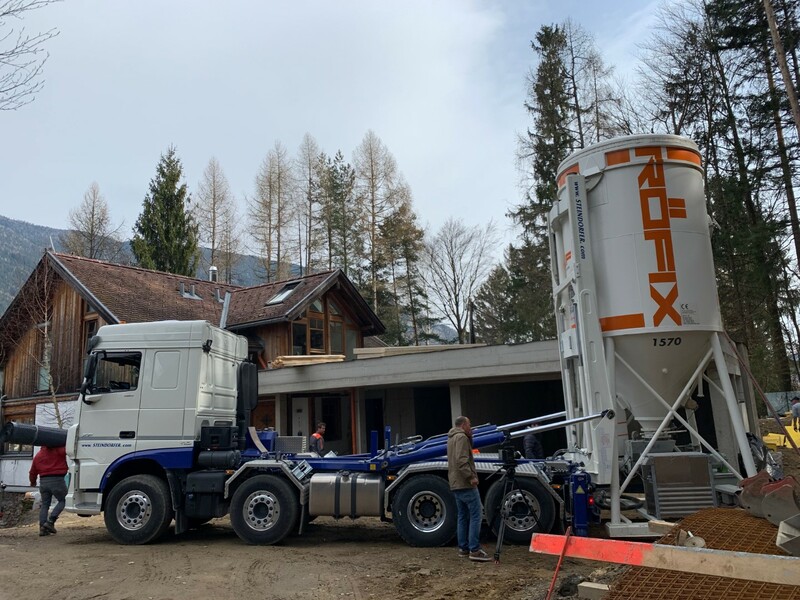 The MAI®HICOMP-FOAM can also be easily used like a standard MAI®HICOMP when you need a regular mobile mortar system rather than a foam concrete system. 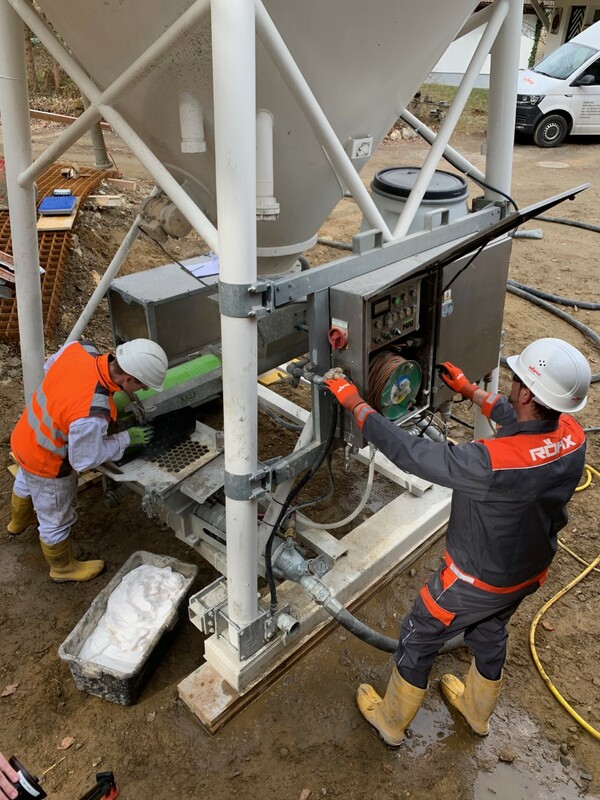 MAI are specialists in foam concrete silo mixing pumps so please send us an email and talk to us about the range of cutting-edge MAI cellular foam concrete equipment today.